We've had a week of fabulous 2017 build-up with teams revealing their new cars for the coming season, but now it's time to stop talking about it and get those tyres turning. 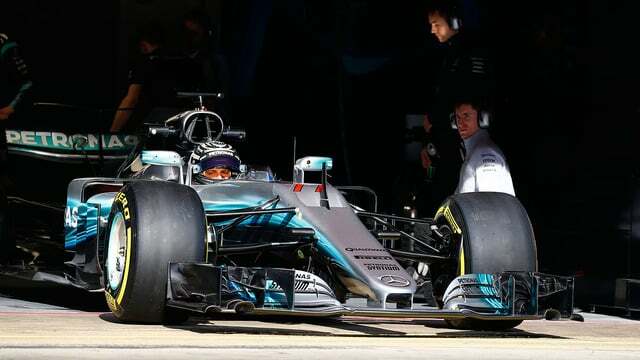 All eleven teams hit the track in Barcelona for the first day of pre-season testing, with mixed results. Mercedes and Ferrari did battle for supremacy on the debut day for the new-look 2017 cars, whilst McLaren struggled with reliability issues. Oof, this all sounds very familiar. Vettel started the day fastest, going head to head with Bottas for his first appearance behind the wheel of the Mercedes. In the afternoon, Hamilton took over from Valtteri and managed to pip the Ferrari to the top of the timesheets. They were enjoying themselves out front, but it wasn't the same story for everyone. Red Bull's Daniel Ricciardo brought out a red flag when he stopped out on track with a sensor issue. He managed to pile the laps in during the afternoon session, however. McLaren completed just a single installation lap before Alonso found himself back in the garage waiting for an oil problem to be rectified. An engine issue followed so that the Spaniard didn't set a timed lap until about ninety minutes before the end of the day's running. It's very juicy that after the two years we had, with so many difficulties, you start the third year and on the first lap we have to change the power unit. It's an easy headline. But we can't be drawn into that... The car arrived at 1am on Saturday and on Sunday we were on track doing a filming day, so no one is happy to lose a day and no one is hiding their frustration. There's an infinite amount of things to test and we couldn't do it. Without hiding that, we need to stay calm. 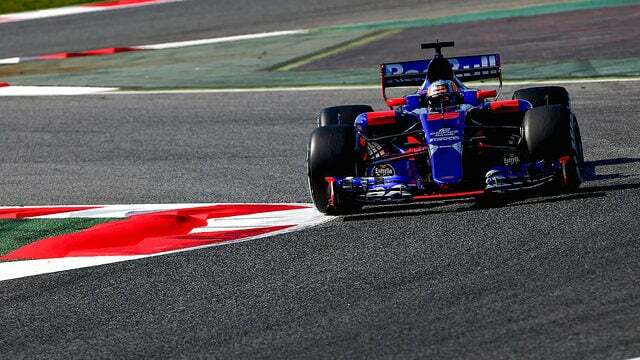 Toro Rosso got their day off to a late start, appearing a couple of hours after the running started, but they completed a solid 51 laps. Kevin Magnussen stopped in the pitlane, with the Haas mechanics having to drag the car back to the garage. 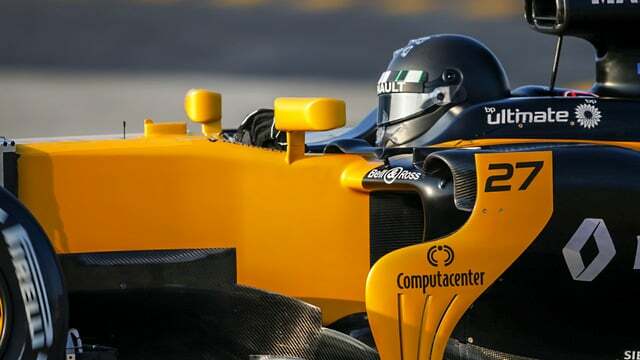 He later spun the car into the barriers, capping off a tricky first day for him at the new team. It was a quiet day for Force India and Sauber, with the latter bringing up the rear of the timesheets. Only a couple of teams manage to get more than 100 laps under their belts, with Mercedes splitting driving duties to complete a whopping 152, Ferrari putting Vettel through 128 tours, and Massa also finishing a good day with 103. McLaren bring up the rear on the lap count, although Force India also failed to reach the 50 mark. Ron's gone but Christian can't resist a dig: "The cars all look great apart from the McLaren colour scheme. I think Ron must be going mad." 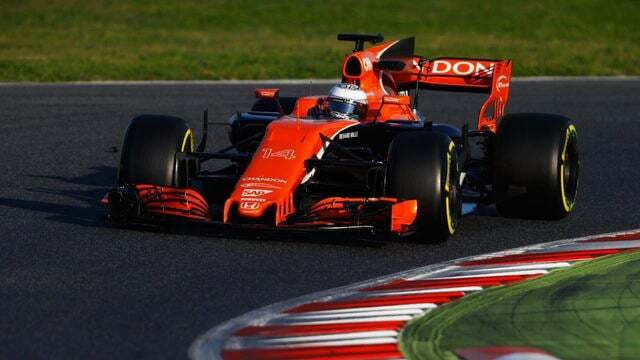 Tomorrow will see the debut of Stoffell Vandoorne as a full time F1 driver, as well as the first appearance of Antonio Giovinazzi in the Sauber - filling in for an injured Pascal Wehrlein. We've got Esteban Ocon starting work for his new team at Force India, whilst Lance Stroll makes his rookie debut at Williams. Hamilton and Bottas will both be back at work at Mercedes, whilst Verstappen and Räikkönen take over at Red Bull and Ferrari respectively.